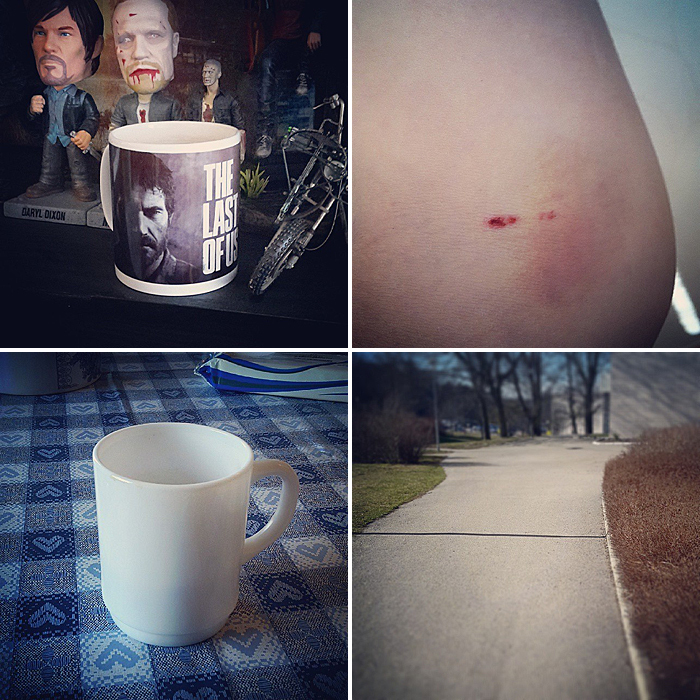 Today I've been drinking way to much coffee, loving my new bruise (yes I am one of those psycho loving girls who adores bruises) and visited my parents for a while where there was more coffee hehe. I've walked in the sun, took a nap on the couch with the bunny and then gamed a bit lot of Skyrim. I think calm days like these are important to have where you just like right now enjoy that Spring is here. Even if today wasn't really by choice, more my ovaries demanding me to take it easy because they can't decide if it's that time of the month or not. What have you been up to today my darlings?